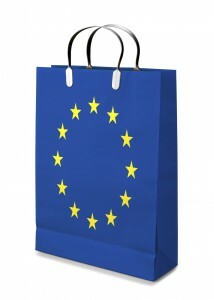 The Consumer Rights Directive (CRD) is an EU wide piece of legislation which passed back in 2011. The CRD was created in the hopes of increasing consumer rights across the entire European Union with a special emphasis on remote buying such as online shopping. Although you may have already noticed some changes in accordance with this directive, it is only in 2014 that we will see its implementation across all EU member states. Whilst many retailers may not welcome or be prepared for these changes, the CRD could provide a wealth of benefits for many consumers across the EU. The CRD has been created with modern commerce in mind. More and more people are choosing to shop online, whether it be for lower prices or convenience. Distance selling also include various other types of consumerism including catalogue shopping and buying over the phone. A consequence of distance selling is that customers cannot handle and ‘try’ the item before buying it and this is taken into account with the new rules. The CRD states that customers should be given a 14 day cooling off period, from the time in which they received their goods. Within this timeframe, customers can decide to return their purchases for whatever reason and the seller is obliged to refund them in full. Once the goods have been shipped back to the seller, the customer must be refunded within 14 days and this includes delivery fees. Another issue which is being tackled by the CRD is the ordering process itself. In an effort to safeguard consumers, the new directive is making the overall buying process much more transparent. This is being achieved with small but significant changes, for example ensuring that website buttons make it clear that the customer is opting into a contractual agreement. Another change that is being made will prohibit automatically ticked boxes at checkouts. More specifically, boxes which when ticked signify that the customer would like to purchase an optional extra along with their goods, for example mobile phone insurance. Customer support has also been recognised as point of concern and is mentioned within the CRD. If a customer uses a support helpline provided by a seller, they can only be charged the standard rate and no more. This also applies to credit card fees as sellers are no longer allowed to charge above and beyond the actual amount required. How will this affect the business owner? Whilst consumers will no doubt benefit from the CRD, most companies will be forced to make some drastic changes in order to comply. Websites and catalogues will have to be re-designed in order to reflect the changes in transparency and button labels. Sellers will also have to highlight the new ‘cooling off’ period and returns policy, this will include changing their terms and conditions. Specialist sellers should also be aware of how this policy will affect them, for example digital content distributors are now obliged to inform customers of the hardware and software compatibility issues which could affect their products. Apart from the hassle of making these changes, many sellers, especially small and medium business owners are worried about how the directive could affect them. The fluctuations in revenue which will be caused due to this longer refund period is much more likely to affect smaller companies than the larger organisations. There is also a fear that some customers may abuse these new rights and buy a product, use it and then send it back for a full refund. It seems likely that many companies will struggle at first with the CRD, whether due to the sheer volume of changes required or the ramifications of these new rules. This being said, the new directive has been put in place because of the many underhanded tactics used by some companies in order to boost sales. Applying this directive to the entire EU puts everyone in the same boat and safeguards a large portion of the consumer climate for all. It is also worth noting that many consumers are unaware of all of the rights they are entitled to and the CRD streamlines this entire issue and simplifies the distance selling refund process. There may be teething pains at first but any legislation that tries to boost consumer rights in a fair and just way can only be a good thing. This entry was posted in Observations & Answers on September 23, 2014 by Jamie.